Plate mail is for the slow. When you're quick and agile, nothing beats studded leather. 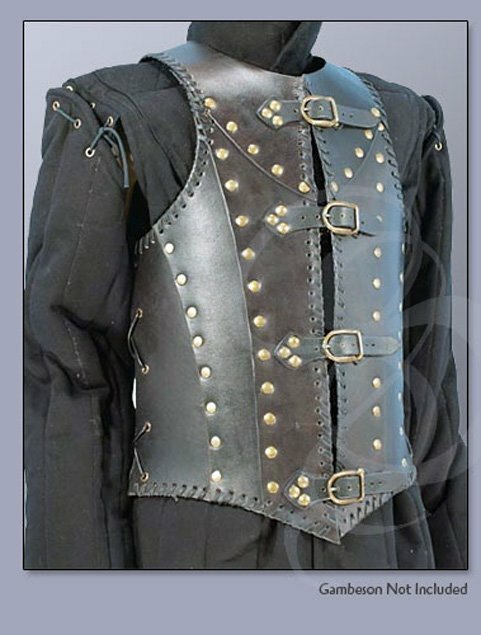 This beautiful leather armor vest is riveted and rugged. It has four sets of straps and laces on the sides for a great fit every time. It's a great accessory for a LARP outfit, SCA accessory, costume or for those who simply want to make a bold fashion statement. It is available in both brown and black. Medium is the only size currently available. See the specs for size measurements..